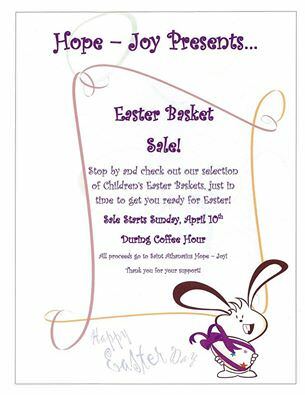 Stop by and check out our selection of Children’s Easter Baskets, just in time to get you ready for Easter! Sale starts Sunday, April 10th, 2016! All proceeds go to Saint Athanasius HOPE-JOY!